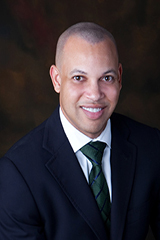 Shane Mayes is a trial attorney in the Litigation Department of Moore Ingram Johnson & Steele. Shane originally joined the firm in 2002, becoming a partner in 2009. In 2012, Shane accepted a position as an Assistant United States Attorney with the United States Department of Justice. After serving three years as a federal prosecutor, Shane returned to the firm in 2015. Shane has a wide range of experience litigating in State and Federal courts. As a civil litigator, Shane has successfully handled cases involving business and employment disputes, premises and products liability, insurance, civil liability stemming from criminal acts, and government investigations. During his tenure as a federal prosecutor, Shane worked closely with federal agencies to steer investigations, prosecutions, and trials relating to federal criminal offenses, including white-collar crimes, fraud, identity theft, cyber crimes, civil rights violations, drugs, and violent crimes. Shane has litigated matters on behalf of clients ranging from individuals to large corporations. Actively involved in bar and non-profit organizations, Shane has been recognized professionally on multiple occasions over the course of his career, including being named as a “Rising Star” by Super Lawyers Magazine | Atlanta Magazine and being listed in “20 Rising Stars Under 40” by Cobb Life Magazine.